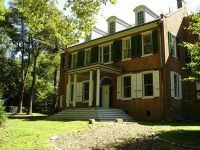 Explore the fascinating history behind historic homes in PA. Find beautiful historic mansions in Pennsylvania. 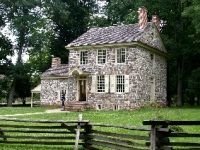 Visit this 250 Year Old Home! 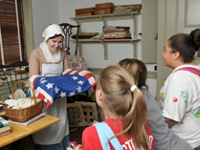 Visit the home of the most famous flag maker in America - Betsy Ross. Take a tour of this famous woman's home and see what it would have looked like while she was alive while you also learn about the American flag and its history. Special exhibits teach visitors about the work of an upholsterer, the job of a flag bearer and much more. 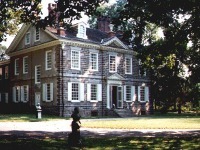 Admission to this historic house in Philadelphia is $5 for adults and $4 for children. Audio tours are available for $1 extra per person. The house is open Tuesday through Sunday December to February and 7 days a week from March to November. A Historic House in Pennsylvania With an Intriguing Past! 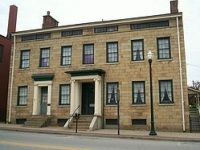 The Bradford House, home to David Bradford (and the Whiskey Rebellion which he helped to organize), still stands with all of the elegance and refinements that were particularly notable in its day, when the surrounding houses were all made of wood.The fascinating history surrounding the house, involving insurrection and an interesting escape tunnel system built under the basement, attracts as much admiration as do the beautiful period furnishings and general historic atmosphere of the building itself. The house is open to tours, and the "educational exhibits" are well maintained, and frequently updated. See Where Washington's Army Was Encamped at Valley Forge! Fully restored as of May 2011, Washington's Valley Forge headquarters, and the surrounding grounds that made his army's encampment, are open to the public for new guided tours from Park Service rangers. 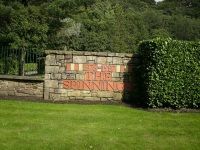 Though renovated for minor repairs and maintenance, the site's historical appearance has been maintained for posterity. Excavations and other archaeological investigations have been carried out in the area, with researchers of all different fields working constantly to uncover exactly what life was like in those turbulent days. For now though, a tour through one of the most important historical homes in Pennsylvania is the closest we can come. One the Most Interesting Historic Homes PA Has To Offer! This 18th Century Georgian mansion attracts architecture lovers and history buffs alike - the former for its majestic design, and the latter for the fact that it was the headquarters of General Washington during the Revolutionary War. It was during this stay, in fact, that a desperate Washington concocted his daring attack on Hessian forces across the Delaware. The home was built by Adam Hoops, a veteran of the French and Indian War, and still stands today where it overlooks Trenton across that famous river. A Great Historic Home in Pennsylvania! Joseph Priestly, the well known scientist, theologian, and political thinker, fled to America from England; his house was burned to the ground by a mob over some of his more controversial views. 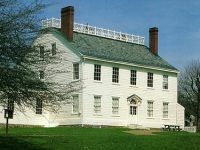 His new home, designed by his wife Mary, still stands today in Northumberland County, and attracts visitors from all over the state and surrounding areas to walk through its recently re-renovated interior. Along with the usual architect lovers and history buffs, the house is also frequented by members of the American Chemistry Society: Priestly discovered oxygen. The First American Home of John James Audubon! 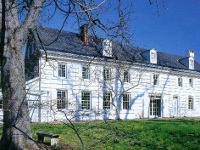 Mill Grove is the historic American home of John James Audubon, famous naturalist, ornithologist, and writer. The National Audubon Society assumed control of the establishment in the last decade, and has opened a museum to Audubon's life and works featuring his writings, art, and the natural landscape he was, no doubt, intimately familiar with. 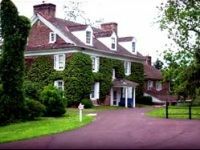 Whether you're interested in the beautiful house itself (built from stone sometime in the 18th century), or a lifelong fan of Audubon's Birds of America, Mill Grove, one of the best historic homes is PA, is sure to have something to capture your interest and attention. The Beautiful Chateau of an Ardent Conservationist! 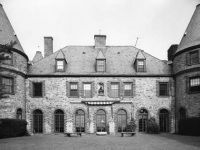 The home of two term Pennsylvania governor and inaugural chief of the U.S. Forest Servic Gifford Pinchot, Grey Towers is a breathtakingly beautiful building fashioned after the style of a French chateau. The building and the surrounding grounds were donated to the U.S. Forest service after Pinchot's death, and his mission of conservation and forestry survives till this day. The house is open for tours to any of the public who care to see the beauty of its interior, and the spreading grounds are available for those hikers looking to explore the lovely scenery. An Important Historic Home In PA! The F. Julius LeMoyne House was built in the early 19th century, and is more famous today for the man, than for the building itself. LeMoyne was President of the Washington Anti-Slavery for two years during the 1830s, after which he dedicated his efforts, and the efforts of the white anti-slavery movement around him, toward the abolition of the practice in the united States, and shuttling black slaves to freedom in the north. Guided tours of his home are available most days, and the majestic structure stands now as a monument to the dedication to freedom that he showed during his life. The Most Beautiful Work of Frank Lloyd Wright! 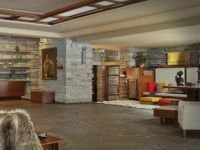 Fallingwater has been hailed by various sources, most notably the American Institute of Architects, as the "best all-time work" of American architecture. Designed by Frank Lloyd Wright in 1935, the house is built on a waterfall on Bear Run, blending perfectly into the rock face of the mountains, its design accentuating the beauty and peace of the falling water.This is a certainly a place to see before you die; thousands of visitors come every year to see what most would call the crowning achievement of Wright's prestigious career. One of the Best Preserved Historic Homes in PA! The home of former President James Buchanan, Wheatland is a beautiful example of 19th century American federal architecture. Certain features have been restored from time to time, but the house remains virtually unchanged to this day, with most of its furniture, for example, being original to the house itself. Though some history buffs visit Wheatland with President Buchanan on their mind, most visit simply to appreciate the virtue of its stately grounds, and, more importantly, the preservation of the interior. 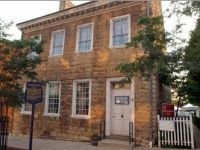 Visits are available through the Lancaster County Historical Society. A Late Masterpiece By Frank Lloyd Wright! Kentuck Knob is a late masterpiece by Frank Lloyd Wright, one of the greatest American architects ever to live. 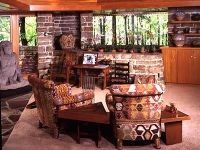 Built along the lines of Wright's usual practice, allowing his design to blend into the natural surroundings, the tones of the exterior meld neatly into the scrub, rocks, and trees of the mountainous property, while the interior is designed on a spacious hexagonal module. Reservations for visits are available most of the year, and anyone interested in Pennsylvania's history, or the works of Wright, are strongly encouraged to check it out. Walk Where Benjamin Franklin Walked! Visit the house where Benjamin Franklin first drafted the famous Declaration of Independence in 1776. Originally built in 1775, the second floor rooms were rented out by Franklin the following year as a quiet place in which to draft the declaration. When you visit this historic Philadelphia home you can see the second floor rooms decorated in period style, much as they would have looked when Franklin himself was there. 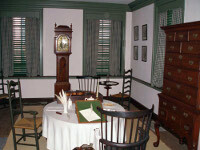 The first floor of the house includes exhibits about the drafting of the declaration. Open year round, admission to the Declaration House is free. Historic Philadelphia Home of "The Raven" Author! Edgar Allan Poe spent six years of his life living in Philadelphia - during that time he composed such famous works as "The Tell-Tale Heart," "The Fall of the House of Usher," and "Murder in the Rue Morgue." When you visit the onetime home of one of America's most famed authors, you can take a tour of the house and see Poe's bedroom, reading room, the creepy basement of the house and more. Learn about the author in a short audio-vidual presentation on his life and writings. Be sure to sign the guest book and add your name to the countless others who have visited this historic site. The Poe Historic Site is open Wednesday through Sunday from 9am to 5pm. Admission is free. Historic Philadelphia House with Beautiful Gardens! One of Philadelphia's oldest houses, the Wyck house was originally built in 1690 by a German Quaker family. Though the original log house no longer exists, on its site is a house that was built in 1736 and was gradually added onto over the years. The house and property had been handed down through nine generations of the family until 1973. When you visit you will be able to view the house, gardens and grounds and experience two hundred years of accumulated furniture and belongings which are on display inside the buildings. Open April to December on Tuesdays, Thursdays and Saturdays - admission is $5. See Historic Furnishings and Decorations from the 18th Century! One of the most sumptuous historic homes Philadelphia can offer, Cliveden dates back to the mid 1700s and is a great example of Georgian Colonial architecture. Stop by the carriage house first where you can watch an orientation video, see an exhibition about the history of the house and join an interpretive tour. Tours through the house are available with experienced guides sharing fascinating information about the house's history and that of the people who lived there. Cliveden has been designated as a National Historic Landmark. Open Thursday through Sunday from 12 to 4pm. Admission is $10 for adults and $8 for children and students.